Winter exercises are not that much different than summer ones – but the benefits of going for a jog in the cold, or finding other winter appropriate activites that will work up a sweat, have many benefits that aren't available to your body in summer. Planet Woman Fitness in Kamloops has been talking about winter exercise's challenges and solutions for the past two months. This month we will explain a few benefits of getting outside in the snowy cold air to to get yourself sweating. We know that winter exercises are the most difficult part of year-round health, so here's some motivation for you! With daylight hours being so short the closer we are to December, it's harder to get the natural vitamin D available from exposure to the sun. We don't go outside in the evening to just hang out in the backyard – and even if you do get out to play with the kids or exercise, you won't get any exposure to the sun's rays thanks to winter clothing! If you're able to get outside and exercise in the daytime, one huge benefit you'll receive is that natural dose of vitamin D. This vitamin is important for maintaining the health of bones and teeth, regulating insulin levels, supporting the immune system, and much more. So if you can get out into the sun, you're already getting many benefits! During winter we all tend to be a bit more lethargic. We like to snuggle up under a blanket and enjoy the warmth of a fire. That feels nice, but if it's all you're doing then your body will adjust to being warmed from external sources rather than warming itself! It can be tough to get outside and exercise, but if you keep doing it, your tolerance for the cold will increase. Over time you will be able to stay out longer and longer – lengthening out your exercise routine. Remember the "snuggle up" mentality we talked about in our Challenges article? Snuggling up, getting bored, and eating seem to go together! Another benefit of getting out is that you will feel better. You will be less bored, you will feel real tiredness instead of "boredom tiredness", eat better, sleep better, and enjoy your day more. Cold weather exercise can boost your mood in ways warm weather exercise cannot. Indoor air isn't always terrible, but breathing it all the time can have an affect on your body. Getting outside regularly will get your lungs a dose of needed fresh air. It will be cold air – but it will also be fresh. Keep getting out and you will learn to love it despite the cold! Needed dosages of vitamin D, natural warmth, better eating habits, better mood, and fresh air are already great health benefits – these aren't all the benefits of winter exercise though! Along with these perks, you also gain all the normal benefits of exercise! You will burn calories, gain muscle, have fewer injuries, and have a body that is more immune to sicknesses. Winter exercise is great! 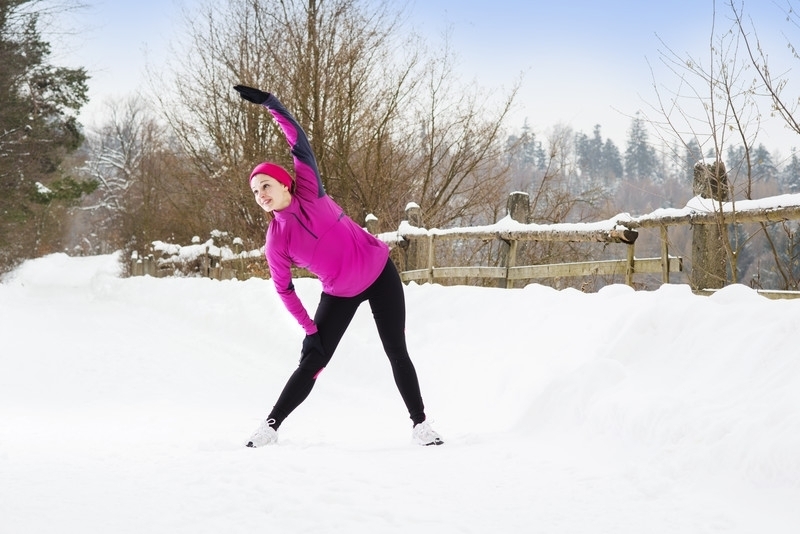 These benefits definitely outweigh the challenges of exercising in winter. At Planet Woman in Kamloops, we want to help you achieve your goals no matter what time of year it is. Come meet with a personal trainer to get some more information and more motivation to achieve – or set – your goals to work hard. If you need to supplement your outdoor routine with a few days of indoor weight training or running on the treadmill, get in touch for a gym membership. If you aren't sure about a gym pass or just want to see what we're all about, come talk to one of the wellness consultants at any Planet Woman location and check out what we have to offer! We look forward to seeing you.